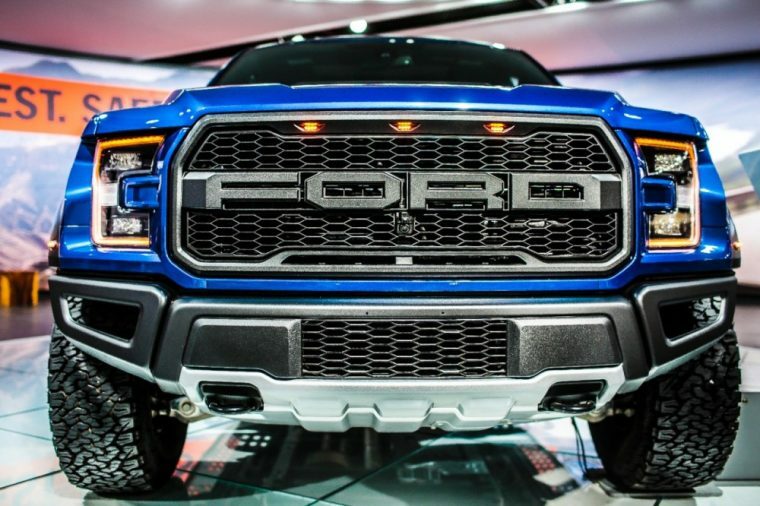 To the surprise of almost no one, the 2017 Ford F-150 Raptor has been a pretty big hit. It’s won awards aplenty, won the hearts of off-road enthusiasts, and even managed to breach new territory by launching in China for the first time earlier this year. Naturally, this success should steer Ford into the direction of believing that there is more to do with the Raptor name. Specifically, going even bigger. Unnamed sources tell Ford Authority’s Manoli Katakis that the Blue Oval brand is now mulling over the possibility of bringing the Ford Performance touch to the all-new F-Series Super Duty, creating an even bigger and badder three-quarter-ton Raptor. Come to think of it, were Ford to create an F-Series Super Duty Raptor, it may be more appropriate to utilize the name Tyrannosaurus Rex for branding. Then, inevitably, the performance version of the F-650/F-750 would be known as the Giganotosaurus. Because it’s seemingly little more than a talking point at present, there is not much to go on apart from speculation. Katakis notes that the solid rear axle of the Ford F-250 Super Duty would likely require some reconfiguring to handle high-speed travel on uneven terrain, which could eat into payload. While a Super Duty Raptor would certainly handle a bigger max payload than the F-150 Raptor, the appeal would likely be less that of a work truck and more that of an off-road monster capable of striking fear into the hearts of all creatures great and small. Ford is also expected to create a Raptor version of the Ranger mid-size pickup after it reemerges from extinction in 2019, though a verified Ford designer wrote in an AMA that it may not use the Raptor name. Perhaps it’d be more fitting as the Ford Ranger Dilophosaurus? Or the Ford Ranger Compsognathus?